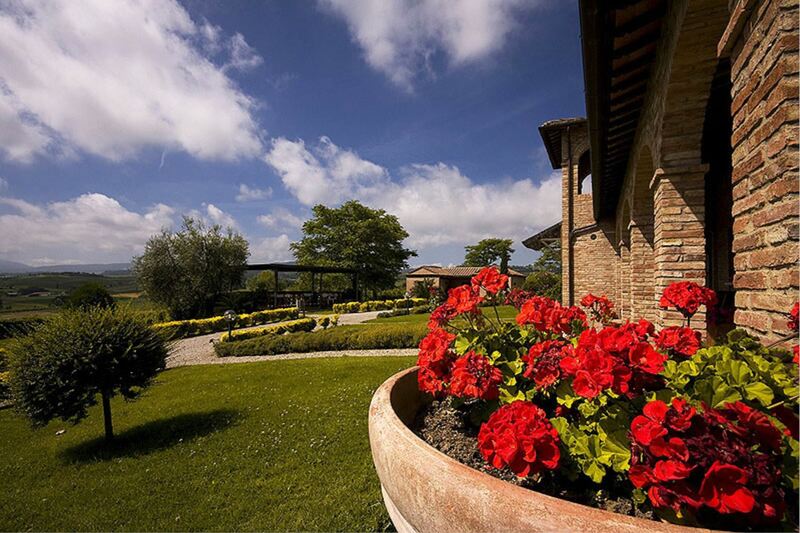 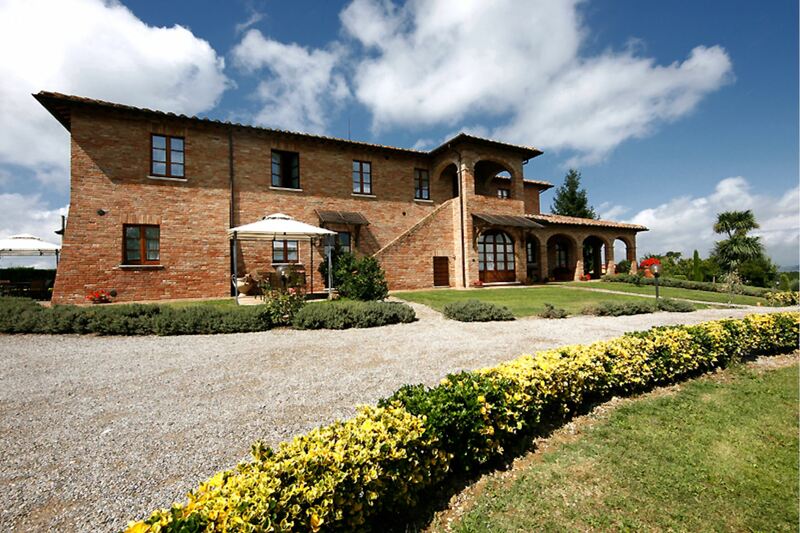 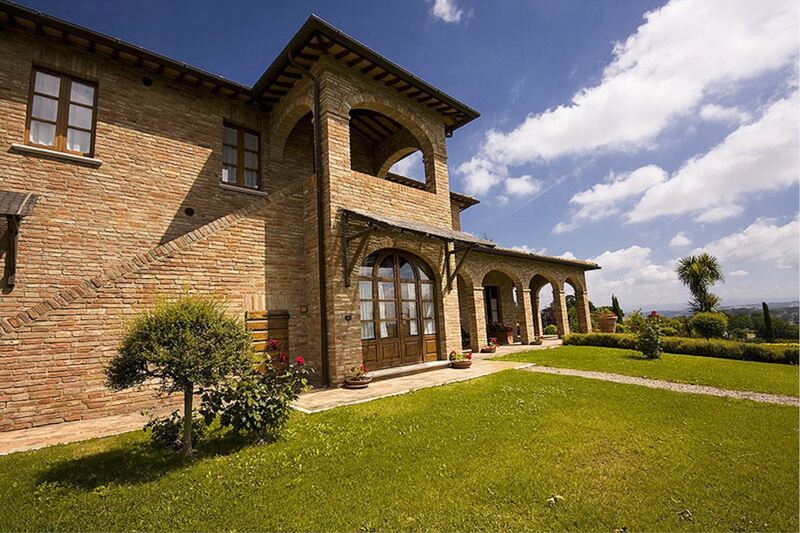 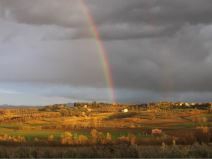 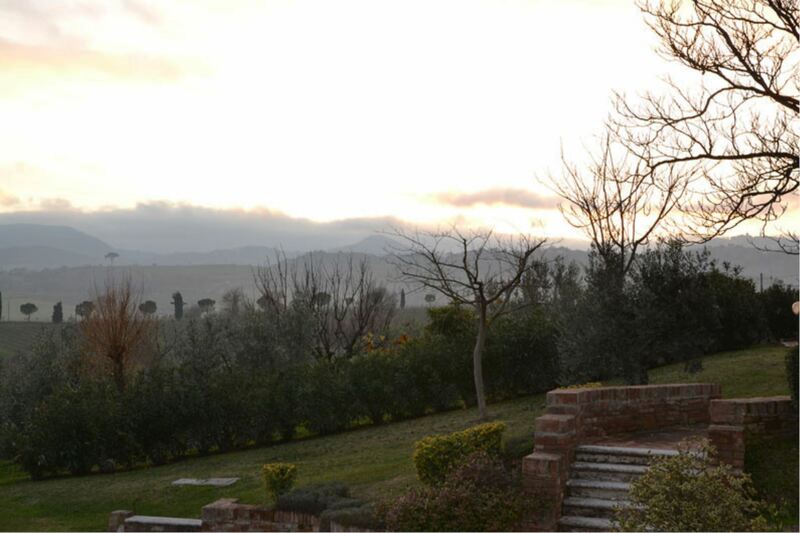 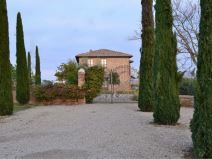 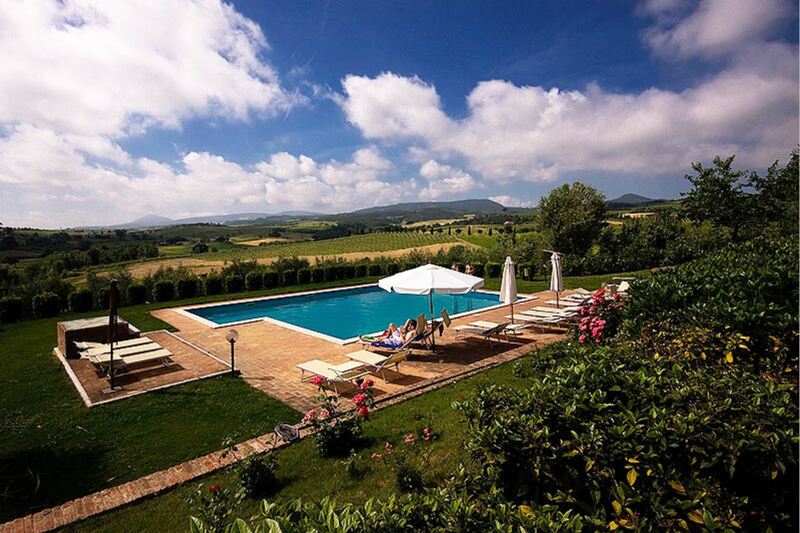 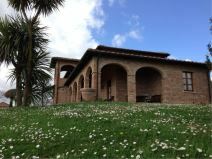 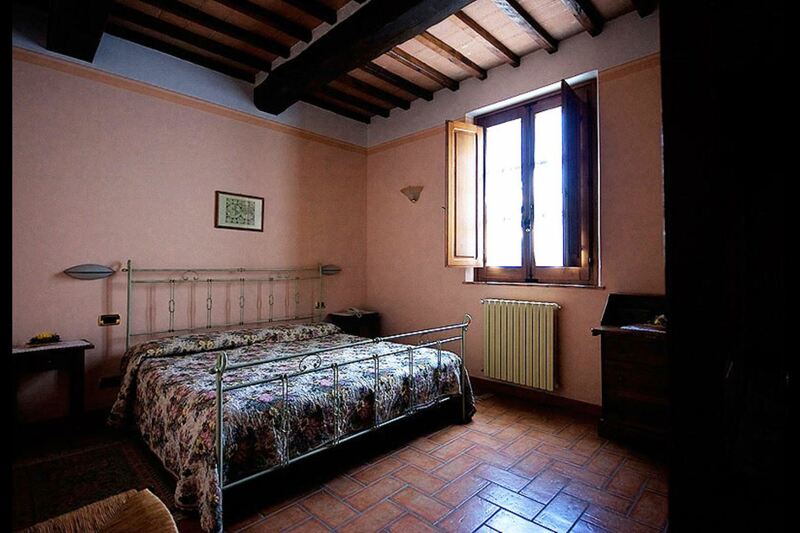 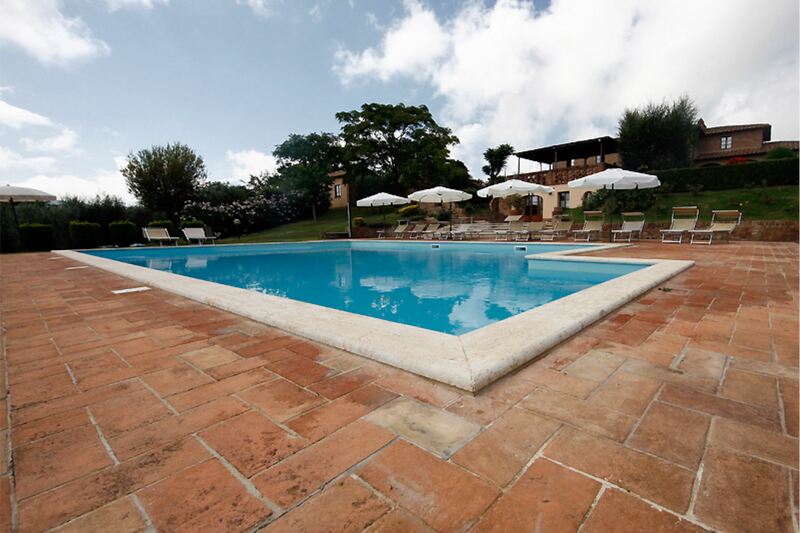 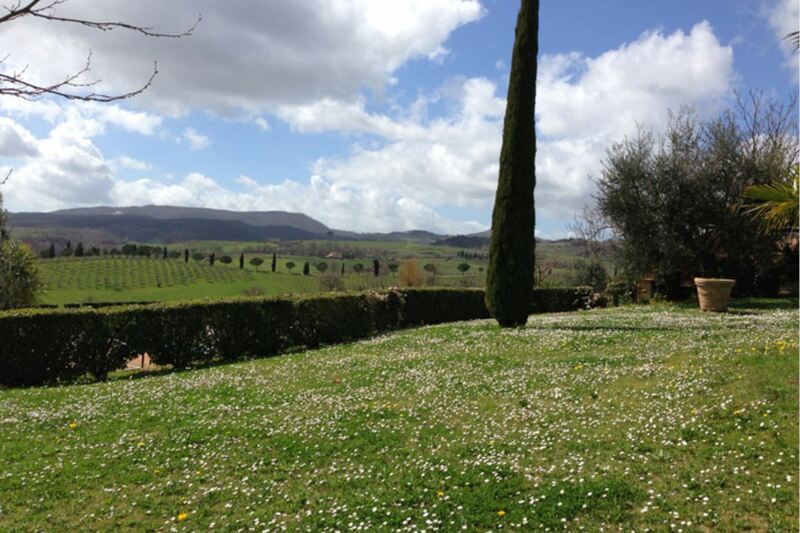 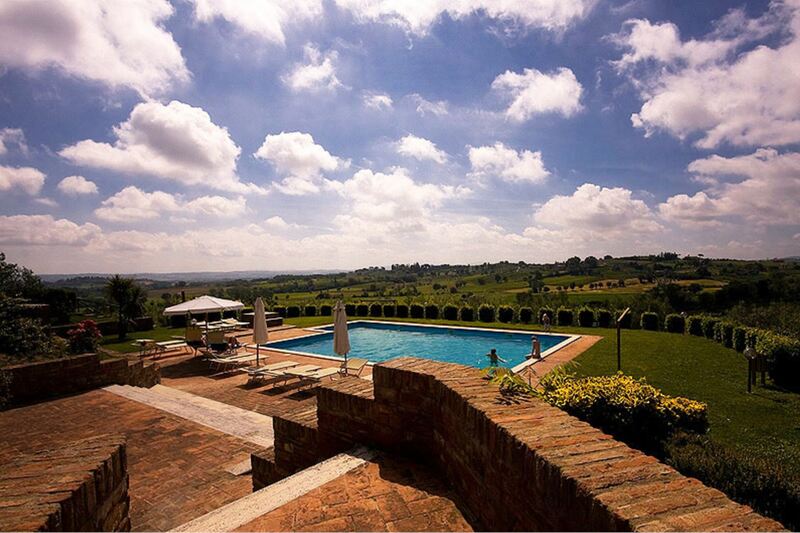 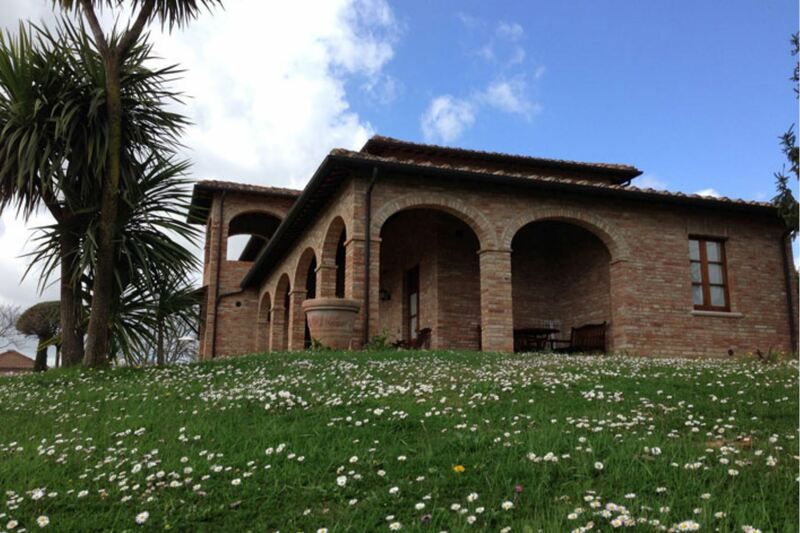 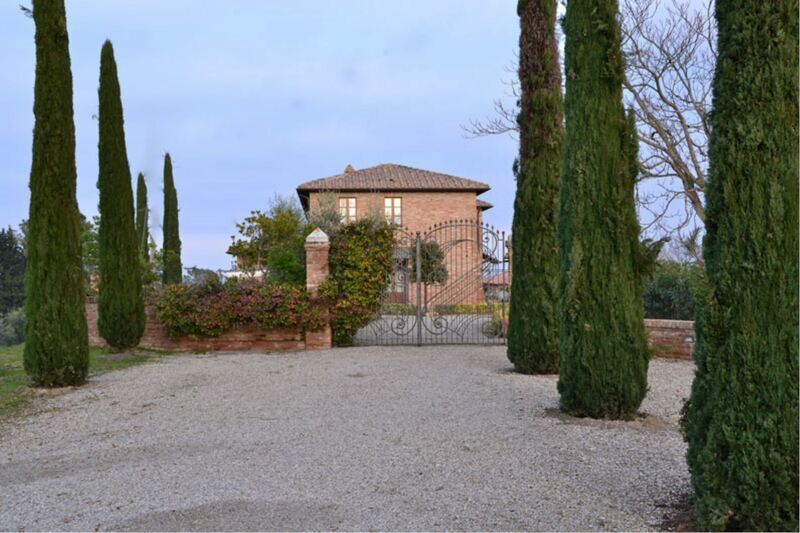 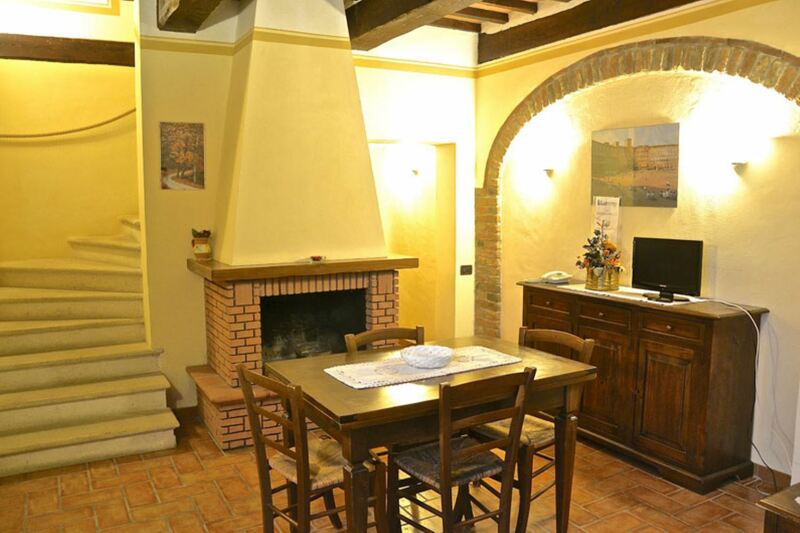 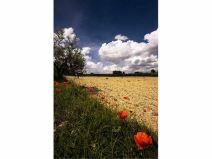 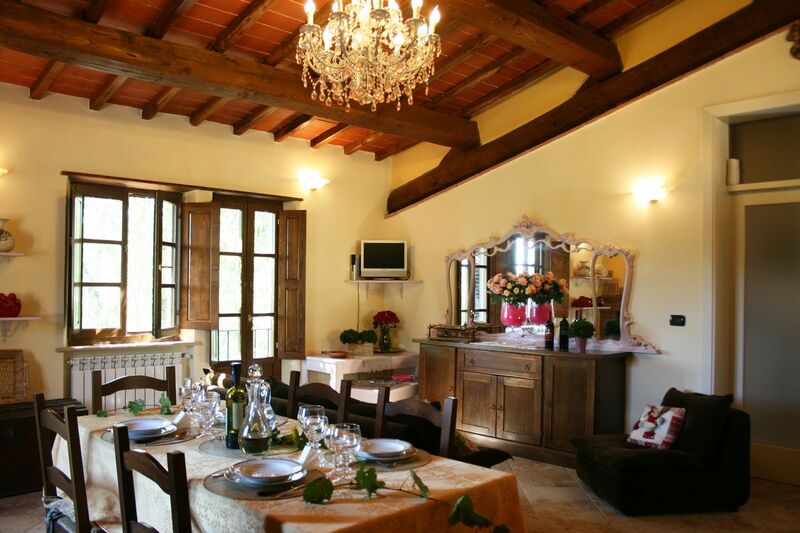 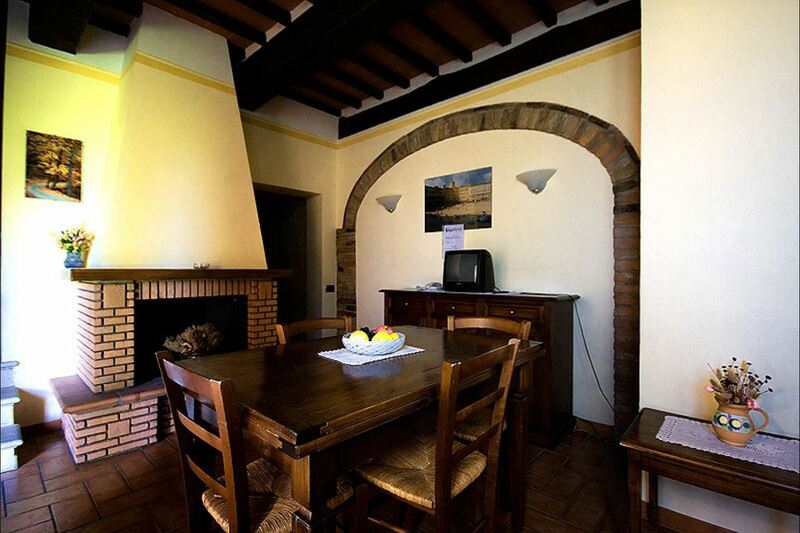 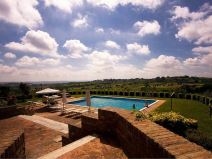 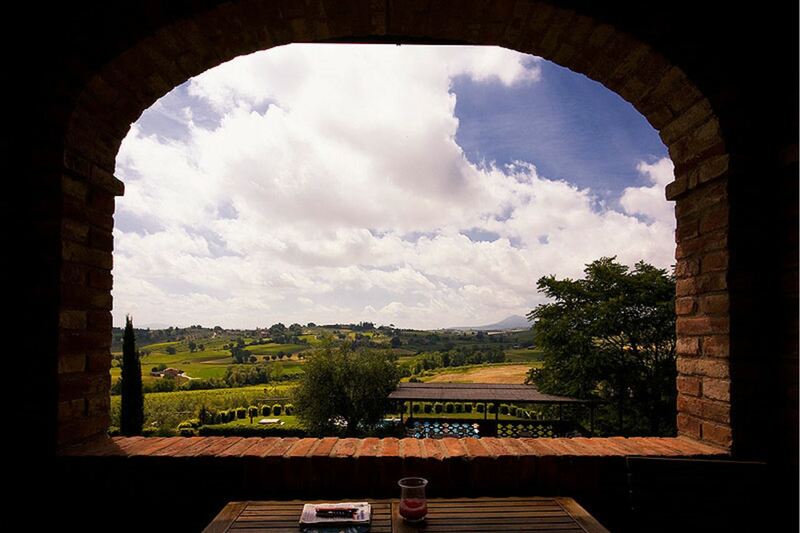 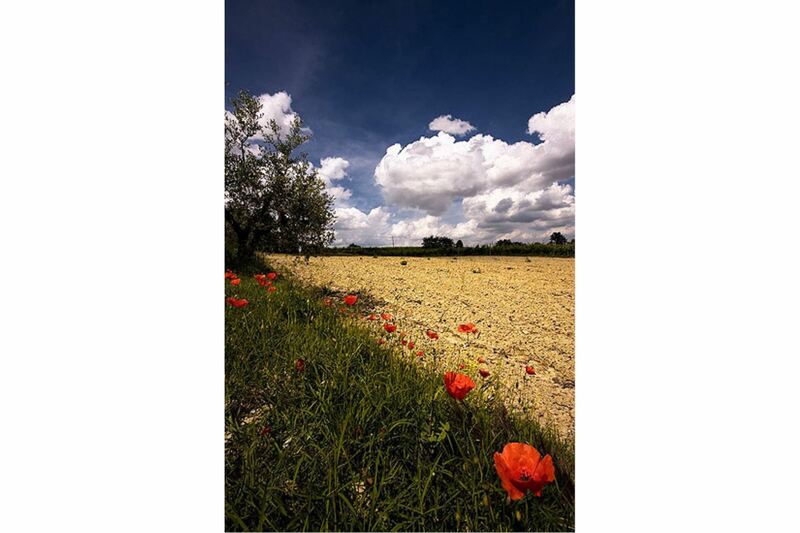 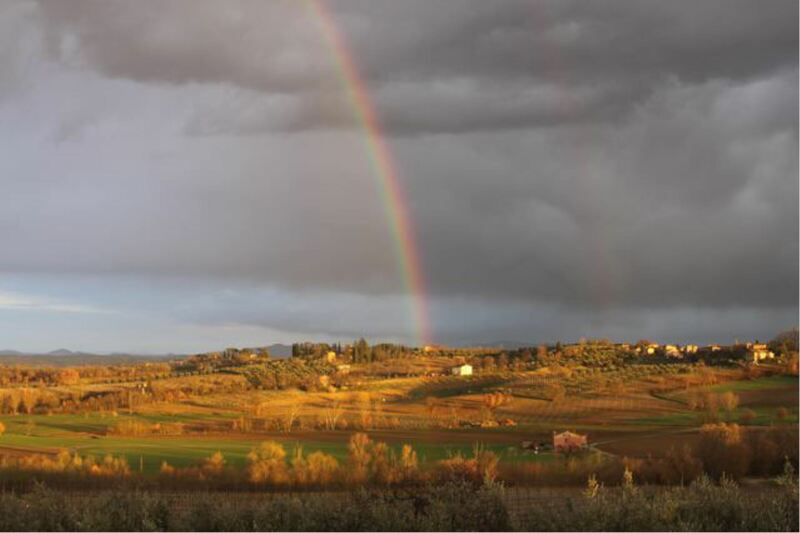 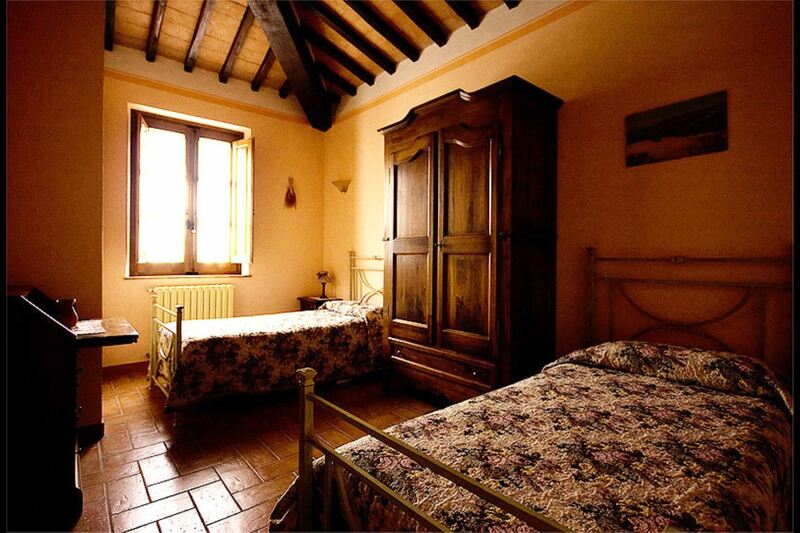 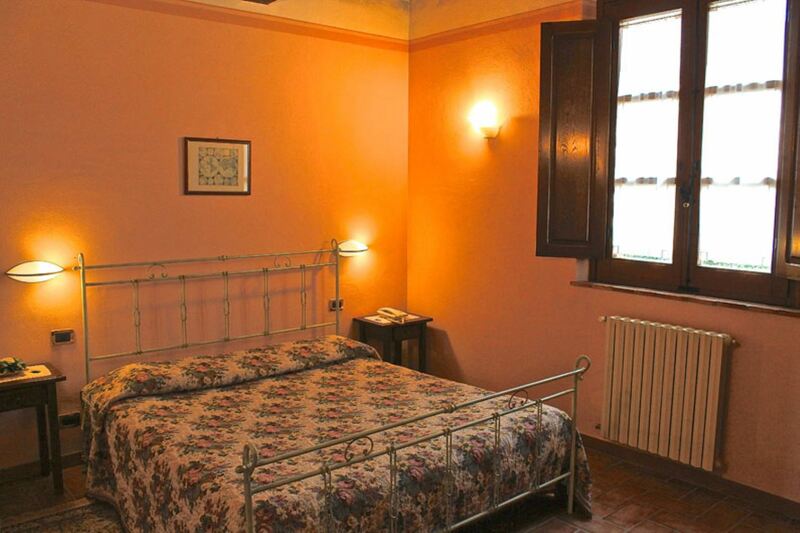 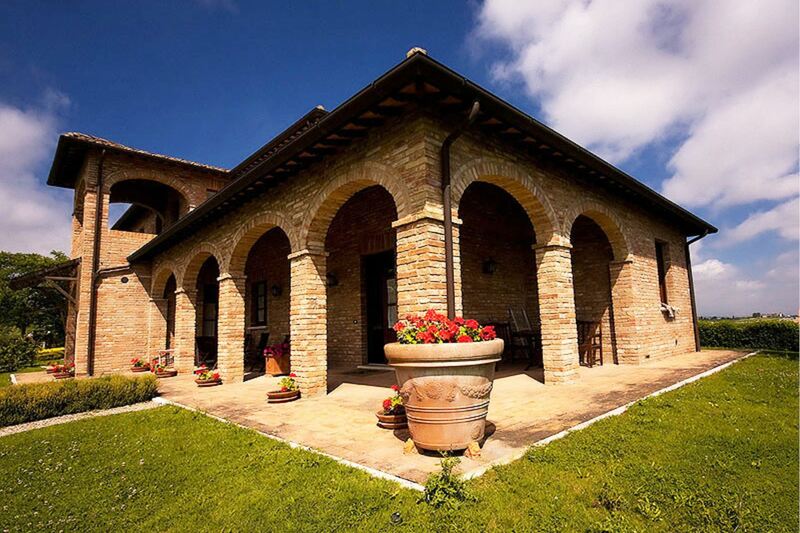 Apartment located in Val d'Orcia a few kilometers from the village of Montepulciano, among vineyards and olive groves. 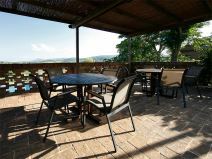 Internet access, satellite TV, pets allowed. 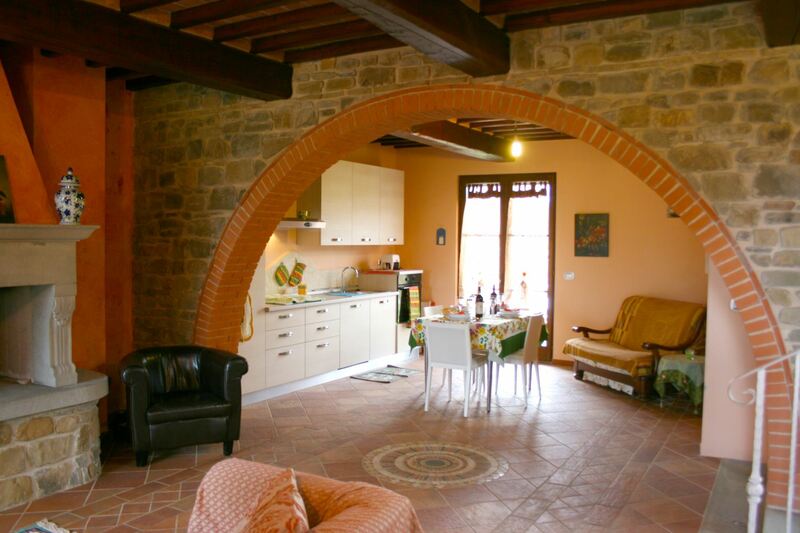 Old farmhouse between the Senese Val di Chiana and the Val d'Orcia. 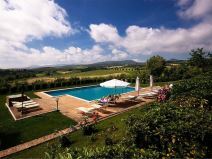 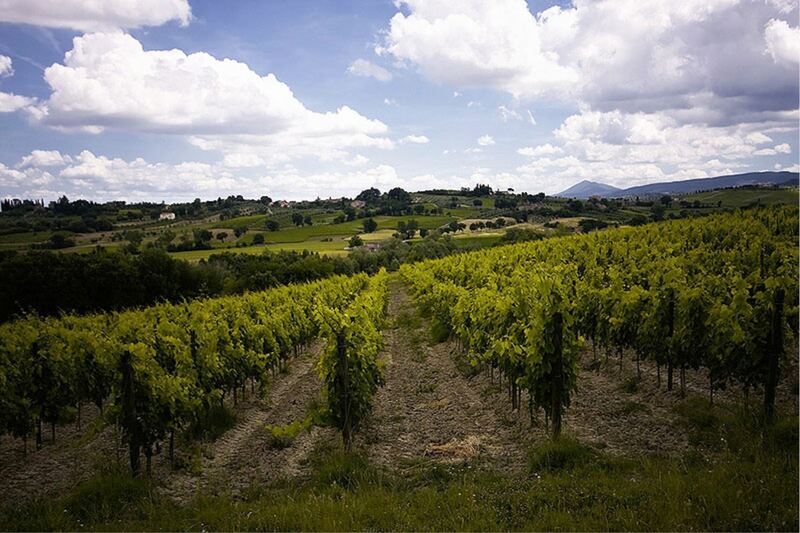 On the sweet sides of the Tuscan hills, between the Senese part of the Val di Chiana and the Val d'Orcia, arises a beautiful farmhouse set amongst age-old olive groves and the smell of the Vino Nobile and Rosso di Montepulciano vineyards. 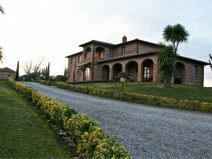 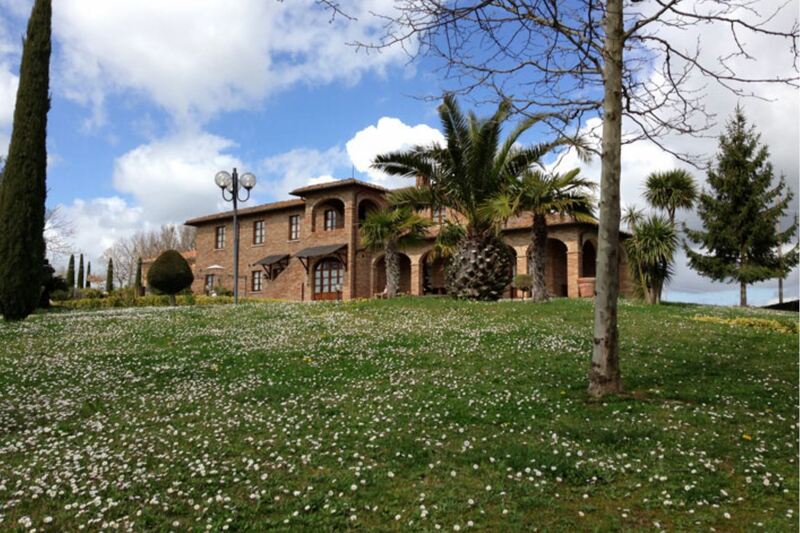 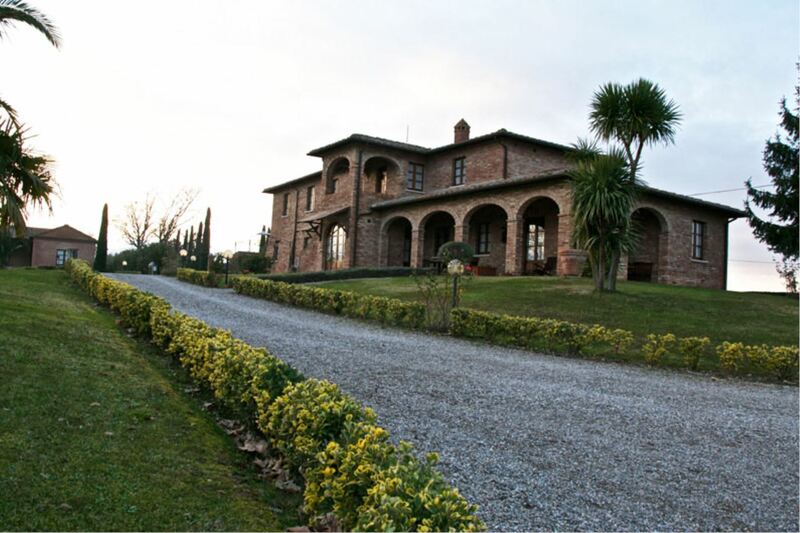 Sanguineto has been perfectly restored and maintains intact its ancient features. 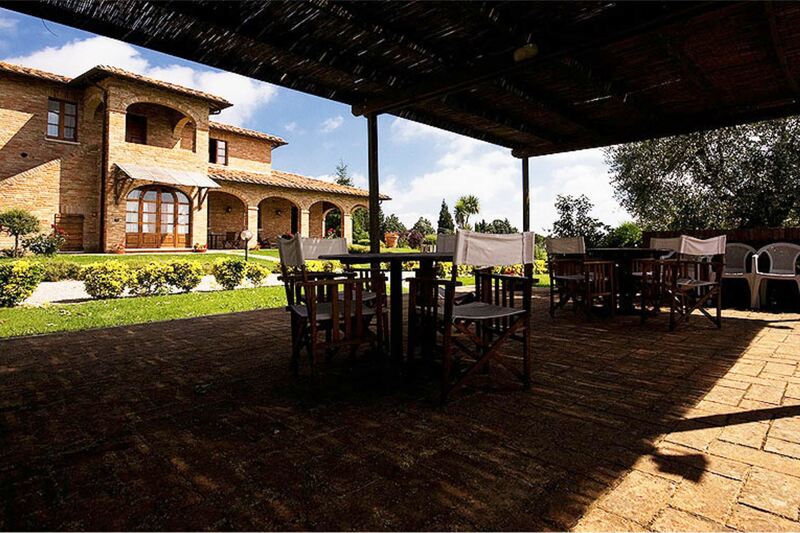 It is divided into 9 elegant apartments each with satellite TV, small fridge/bar, microwave oven, telephone and internet Wi-Fi access. 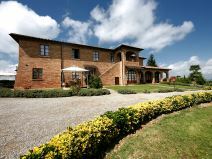 A nice garden surrounds the house with a panoramic sun deck equipped with garden furniture, a 17x9 m lovely swimming pool (depth 1,40 m) and a bowling alley. 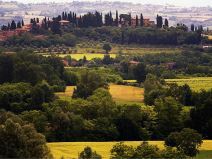 Montepulciano the Renaissance's jewel. 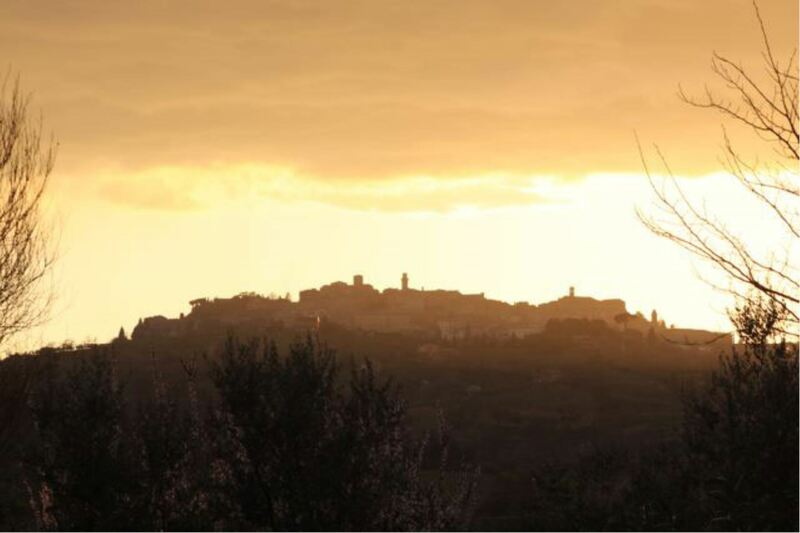 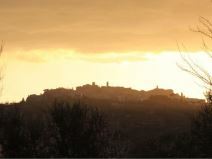 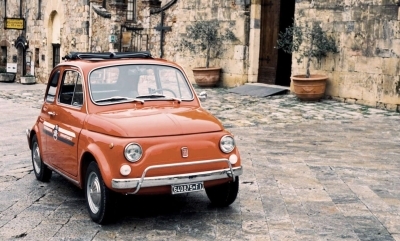 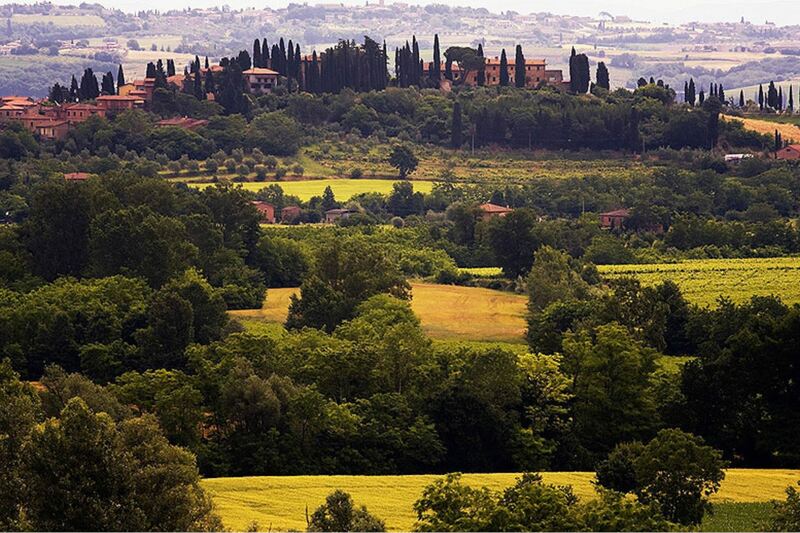 The beautiful town of Montepulciano is only 5 km far. 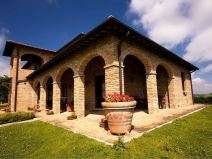 The village, authentic pearl of the 16th Century with its buildings, lanes and alleys, proves the indelible splendor of the architecture and taste of the Renaissance. 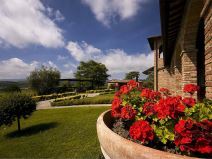 Services, dinners and tastings and the Wellness Centre. 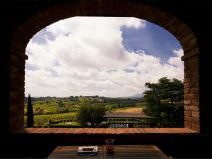 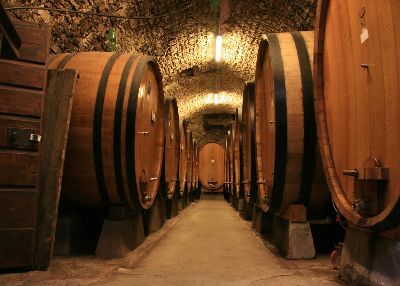 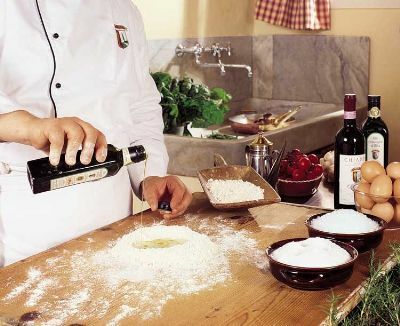 On request it is possible to arrange wine tasting, typical dinners with local dishes and breakfast. 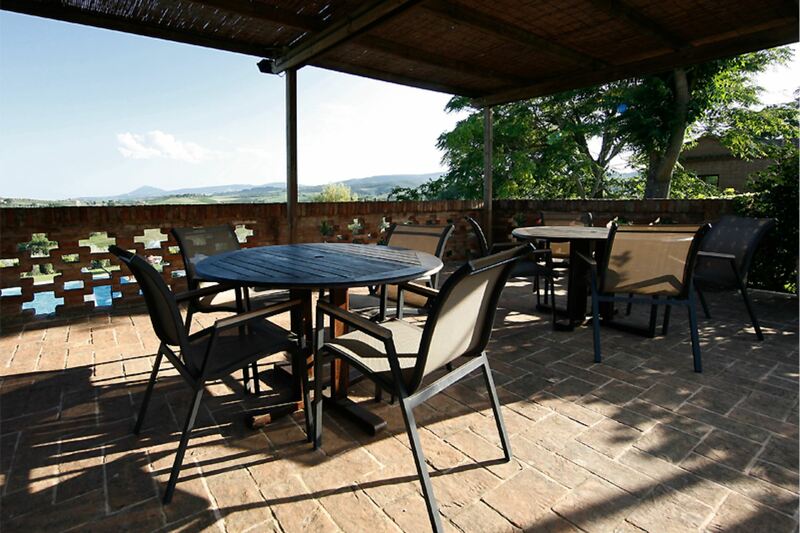 At guests disposal communal washing machine, mountain-bikes and children play area. 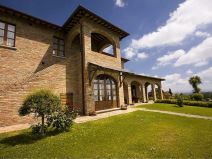 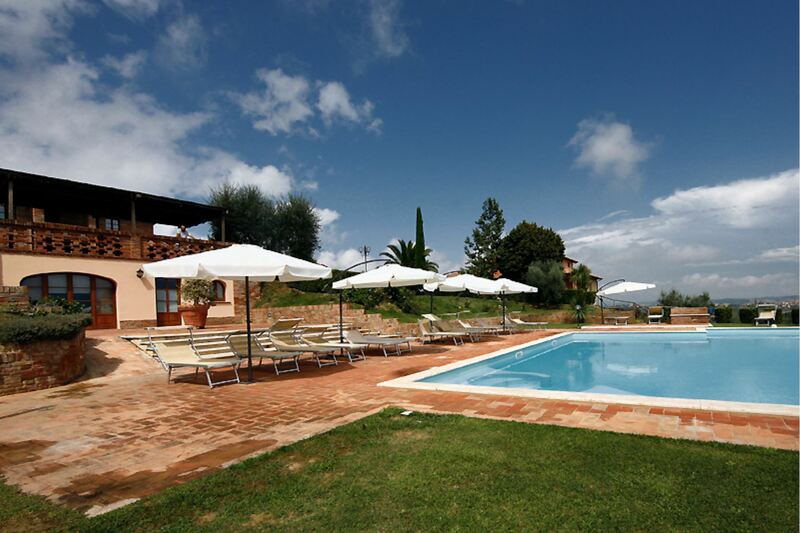 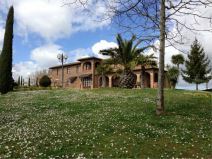 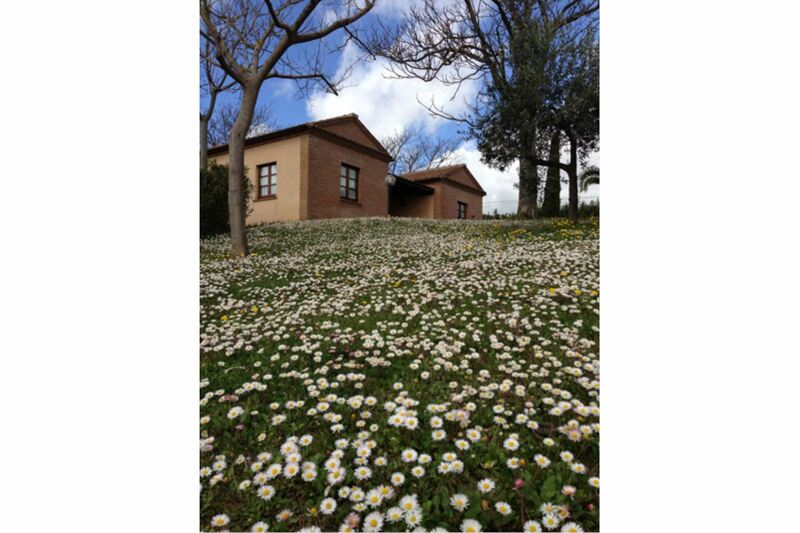 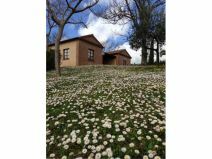 The property offer also a modern Wellness Centre with Steam Bath and Sauna, where you will have the opportunity to fully appreciate the relax of an holiday in this Agriturismo. 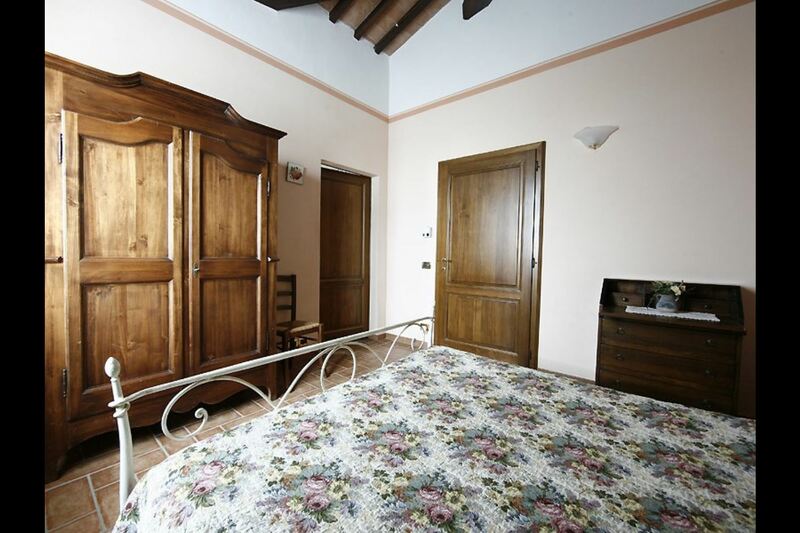 Ground floor apartment comprising sitting/dining room with kitchenette and single sofa bed, double bedroom, bathroom with Jacuzzi. 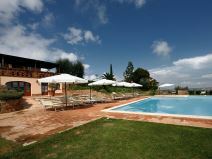 EQUIPMENT: freezer, Wi-Fi Internet access, Satellite TV, mini bar, microwave, communal washing machine. 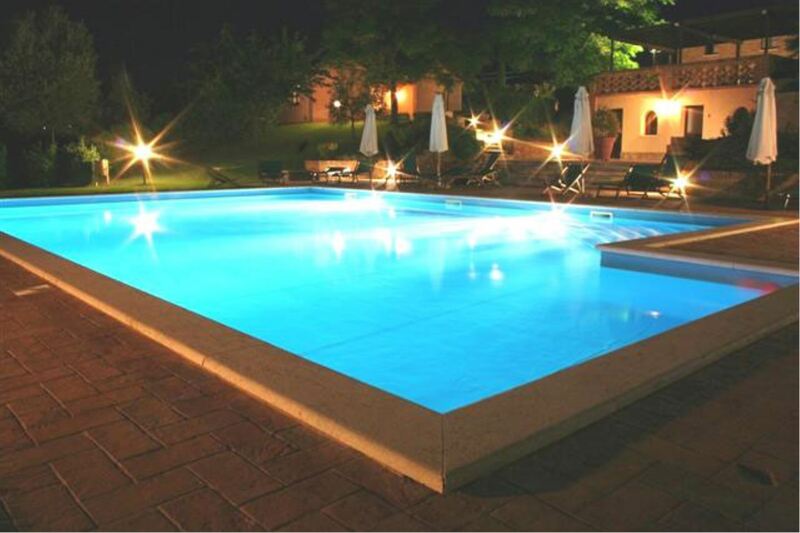 Shared pool open from 04/05 to 21/09. 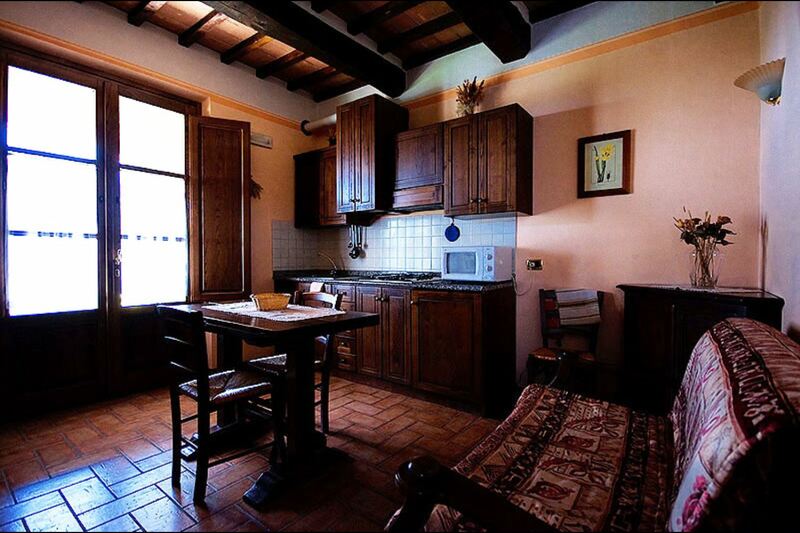 Obligatory final cleaning: Nobile, Girasole, Cipressi and Belvedere Euro 40 per apartment, Dolce Dormire, Sanguineto and Loggina Euro 60 per apartment. 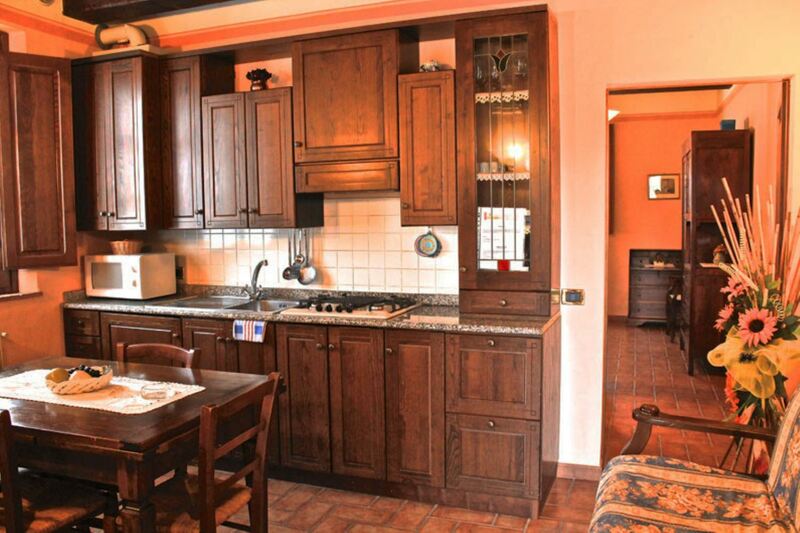 Heating Euro 2 per hour per apartment (if used). 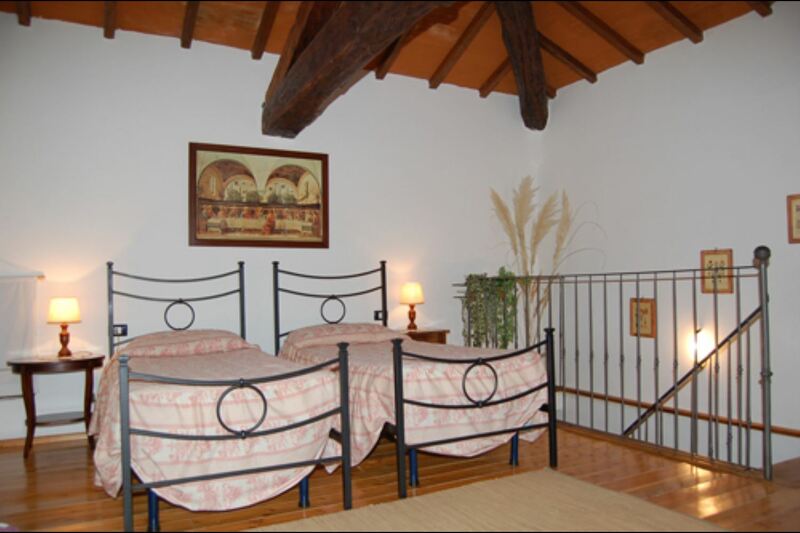 Tourist tax Euro 1 per person per day, children up to 12 years do not pay. 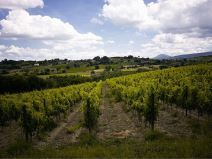 Séjour agréable et apaisant au milieu des vignes et des oliviers . 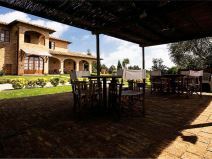 Propriétaires sympathiques et accueillants . 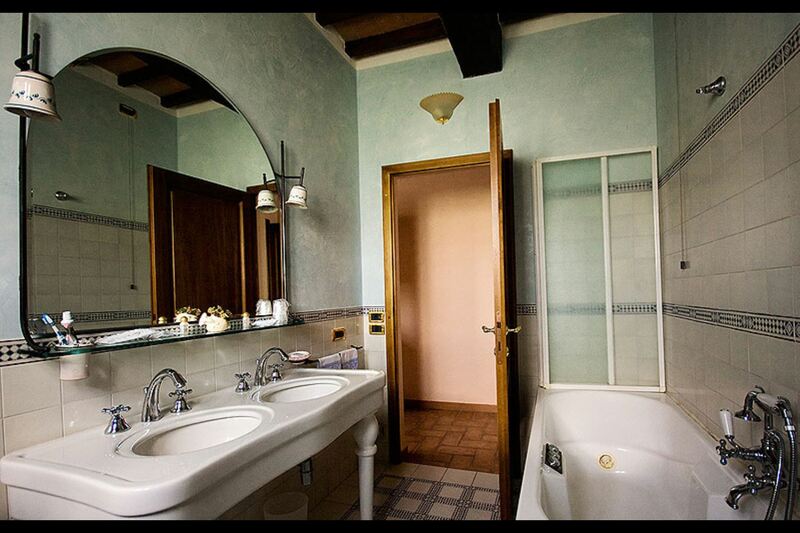 On ne peut que recommander ! 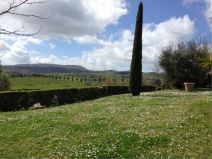 The apartment we stayed in was clean and spacious, and offered incredible views of the surrounding countryside, including vineyards, olive trees, villas, and Mt. 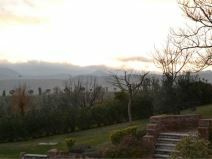 Amiata. 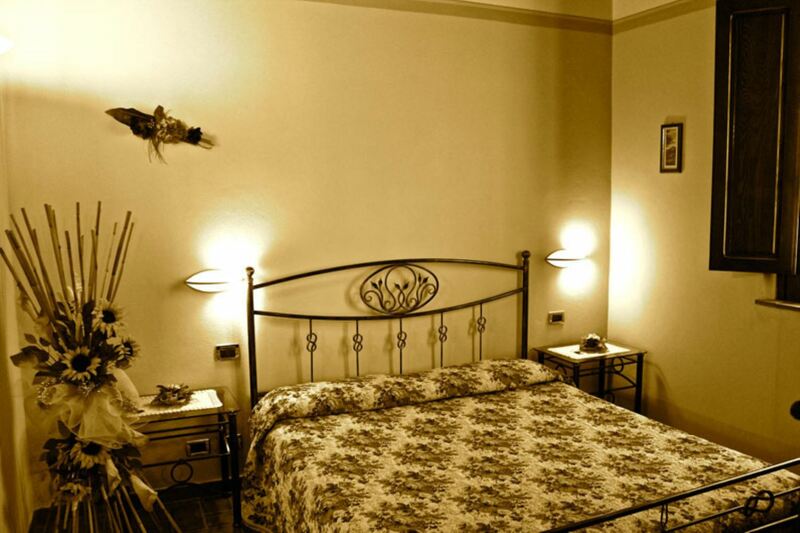 The hosts are friendly and accommodating. 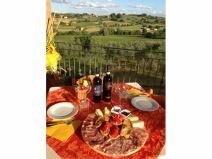 The traditional Tuscan food and beverage offerings were perfect on the terrace in the evening.